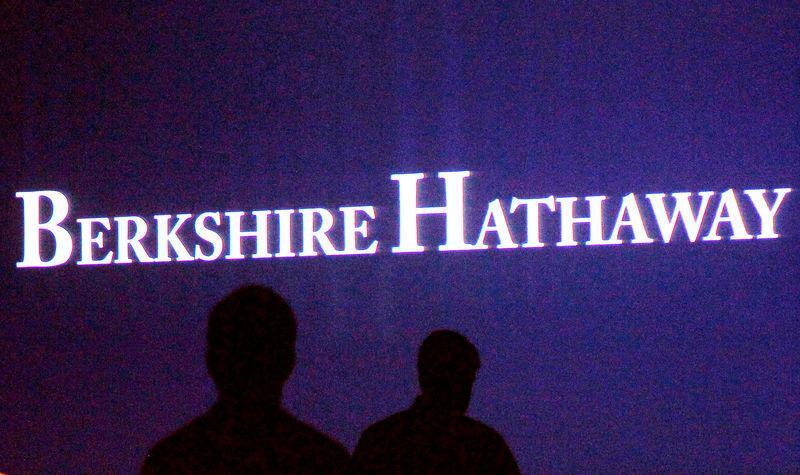 NEW YORK (Reuters) - Berkshire Hathaway Inc, the conglomerate run by billionaire Warren Buffett, on Saturday said its quarterly operating profit doubled as its insurance business dodged hurricanes and benefited from lower taxes. The strong result gives Buffett more cash to deploy even as the well-known bargain-hunting "value" investor has admitted struggling to find a place to put those earnings to work and resorted to buying back $928 million in his own company's stock in the latest quarter. Operating profit in the third quarter doubled to $6.88 billion from $3.44 billion a year earlier, and higher than the $6.11 billion expected by Wall Street, according to IBES data from Refinitiv. Helping the company's insurance operations were lower estimated liabilities from property and casualty insurance in prior years and lower taxes. The year prior included major losses due to three U.S. hurricanes and an earthquake in Mexico. Insurance underwriting income was $441 million in the third quarter, compared to a loss of $1.4 billion in the year-ago period. "This is absolutely one of the biggest quarterly earnings reports that has ever come out of a United States corporation," said Bill Smead, chief executive of Smead Capital Management, a Berkshire shareholder. Berkshire said third-quarter net income rose more than 355 percent to $18.5 billion, though that reflected a new accounting rule requiring it to report unrealized investment gains with earnings. Buffett said the rule could lead to "wild and capricious" results and can mislead investors, who should look at operating profit instead. Berkshire's effective tax rate for the third quarter was 19.2 percent compared to 25.3 percent in the year-ago period following a reduction of the corporate tax rate that President Donald Trump signed into law in December. Many U.S. companies' reported results have been skewed by the law's impact. Insurance provides a stream of cash that Berkshire can invest around the world. Float, or insurance premiums collected before claims are paid and which help fund Berkshire's growth, ended September at $118 billion. The company has $103.6 billion in cash, short-term Treasuries and other similar investments. Buffett's last big acquisition was in January 2016, when Berkshire paid $32.1 billion for aircraft parts maker Precision Castparts. In July, the company announced relaxing a policy that had effectively prevented Buffett from buying back the company's shares at current prices. Their day-to-day operations are overseen by Greg Abel and Ajit Jain, each seen by investors as a possible successor to Buffett, 88, as chief executive. Buffett and Vice Chairman Charlie Munger, 94, handle major capital allocation decisions. Berkshire's profits improved across each of its major business units. Their results painted a picture of a U.S. economy that continues to grow but faces increased pressure from rising costs, in part due to the Trump administration's imposition of tariffs. In its building products and McLane's grocery and foodservice businesses, for instance, Berkshire reported higher fuel and raw materials costs, hurting profits. Yet at Burlington Northern Santa Fe LLC, Berkshire's rail business, they were able to increase prices as more businesses ship by rail due to tight supply in the trucking market. Berkshire warned that insurance losses due to Hurricane Michael are currently estimated in the $350 million to $550 million range for the fourth quarter. Berkshire's Class A shares closed Friday at $308,411.01 per share, delivering a total return of 3.6 percent for the year, a bit ahead of the S&P 500's 3.4 percent return. And the company's book value per Class A share, reflecting assets minus liabilities and a preferred measure of growth for Buffett, was $228,712 on Sept. 30, higher than $217,677 one quarter ago. Among his favorite investments, Buffett has gobbled up shares of Apple Inc. Berkshire's stake in Apple was worth $57.6 billion at the end of the most recent quarter, up from $47.2 billion at the end of June. Shares in Apple fell nearly 7 percent on Friday, cutting its market value back to less than $1 trillion after it forecast softer-than-expected sales for the holiday quarter and fueled nerves over iPhone sales by saying it would no longer release the figures. Steven Check, president of Check Capital Management Inc, a Berkshire shareholder, said Berkshire's buybacks were a good sign. "It makes sense to me because the stock traded at higher valuations for most of the quarter than where the stock was bought at," said Check. "It reconfirms what we've known for a long time, which is that the stock has been under-priced."